District stakeholders sought to create a vision of a flexible, dynamic solution for their only special services school – transforming the existing Loma Vista campus into a forward-thinking model of 21st century learning. As the host of a wide array of year-round programs, the underlying goal was to provide a new, specialized facility that creates a sense of security and community for all students. Serving students ranging in ages from 3-22, Loma Vista integrates County and District programs, collaborates with Innovative Preschool, and provides practical adult education. From speech, mental, and occupational therapy rooms, to new classrooms, to kitchen and laundry facilities, this 33,000 s.f. building encourages and supports students to learn the skills and confidence required to succeed in life. 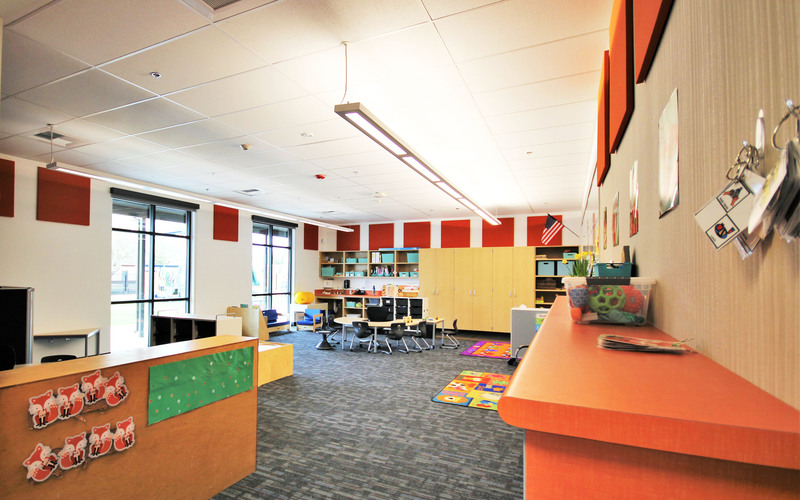 Themed by color, classrooms encourage wayfinding for students and helps to provide a fun and inclusive atmosphere. 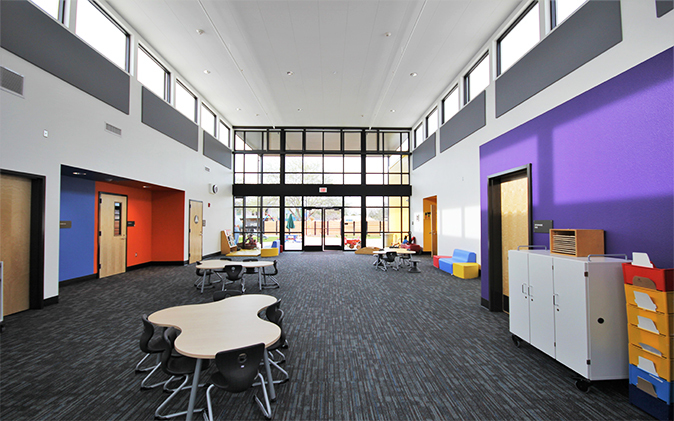 Large indoor play areas carry the same theme and connect to specialized outdoor play equipment with sweeping open windows. For the staff at Loma Vista, office spaces were designed for collaboration and a special “quiet room” was designated as a space for peace and composure. This campus of flexible indoor and outdoor spaces, integrated with a variety of programming, has generated a sense of school pride that will benefit current and future students, as well as the larger Chico community.